DESCRIPTION: On the second layout I created in the Big Titles lesson, I tried a technique of varying letter sizes in waves instead of them all being the same size. 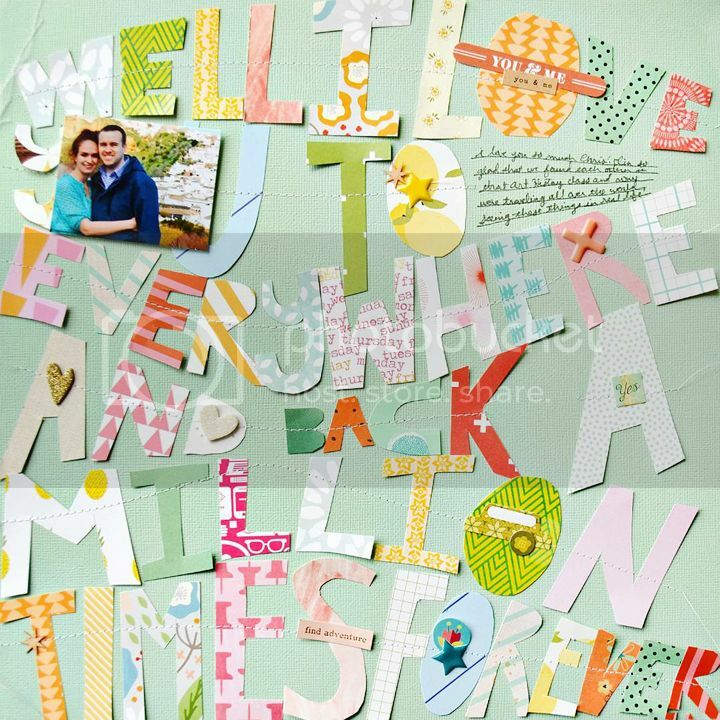 JOURNALING SAYS: I love you so much Chris! I'm glad that we found each other in that Art History class and now we're traveling all over and seeing those things we learned about in real life! HOW TO: Start with a favorite phrase, sketch it out, then translate the sketch of letters into hand cut letters (the start-to-finish video in the class is MUCH more helpful). 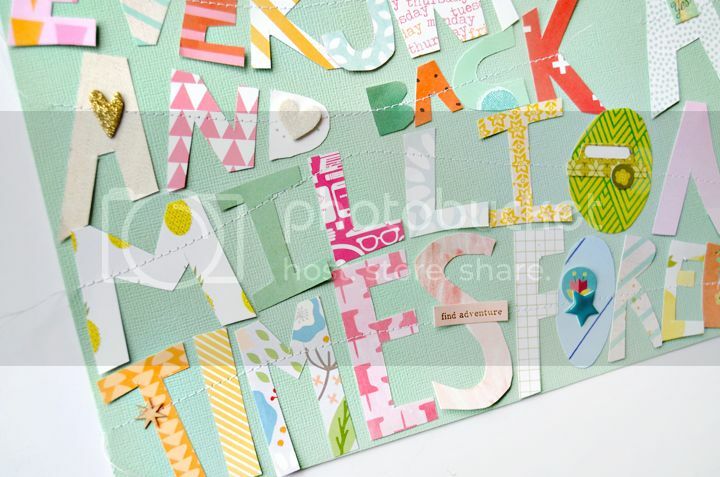 Stitch over the letters to make them stay in place forever then embellish minimally to really let the background shine. SUPPLIES: Ummmm, I can't remember which kits I used, but they were all past Studio Calico kits! Loveeeeeee this! LOVING how you did that title!!!!!!!!!!!!!!! !